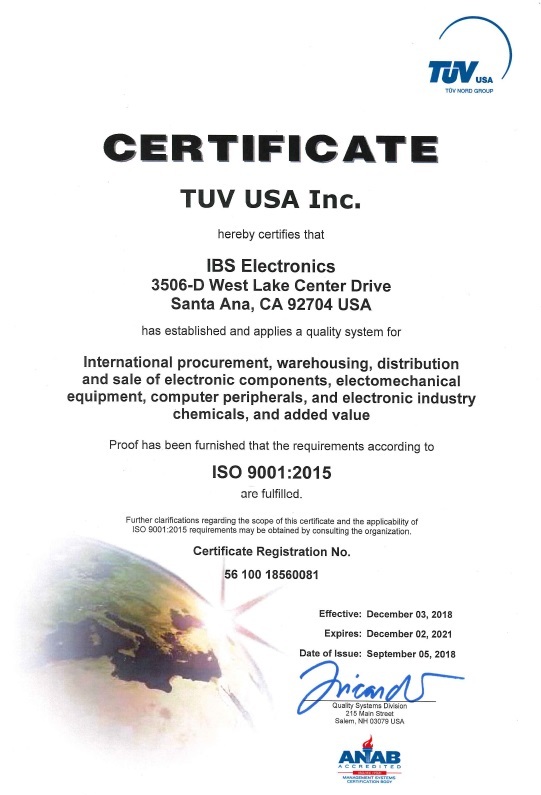 IBS Electronics is certified as ISO 9001:2015 compliant. ISO 9001:2015 certificate shows that IBS Electronics organization follows internationally recognized quality management principles. The result of using ISO 9001:2015 is shorter lead times, high delivery reliability, and consistently high quality of services and products. Achieving ISO 9001:2015 certification clearly demonstrates IBS Electronics’s company-wide commitment to supporting our customers with quality products and services.